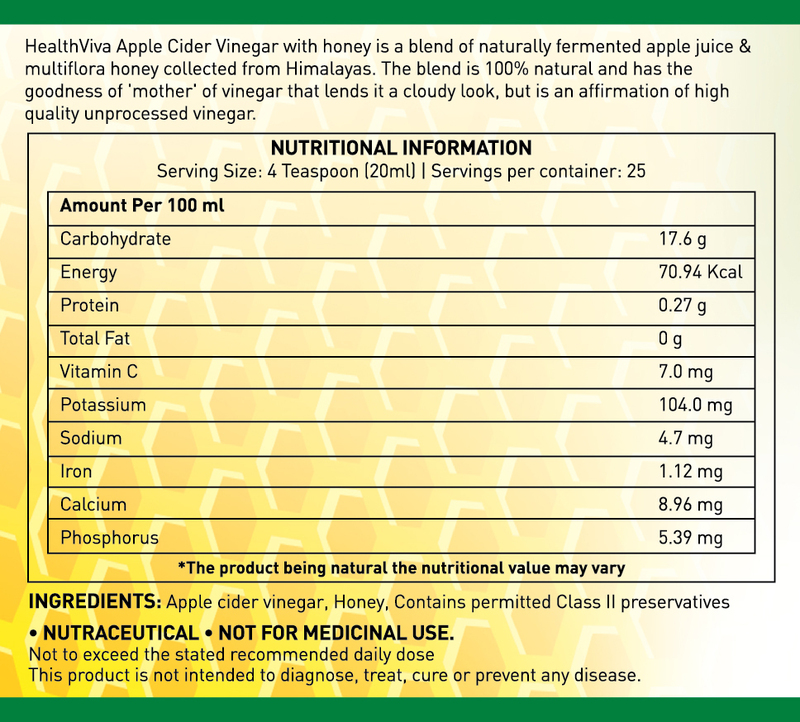 Naturally fermented with delicious Himalayan apples, HealthViva Apple Cider Vinegar with Honey is 100 percent pure and contains ‘Mother’, a cobweb like structure floating at the bottom of the vinegar that gives it dark brownish colour. The presence of ‘Mother’ in apple cider vinegar is a proof of organic vinegar and is the reason for numerous health benefits. Honey extracts along with Apple Cider Vinegar enhance taste and health benefits. Include Apple Cider Vinegar with Honey in your lifestyle to promote health and well-being. Have it on an empty stomach in the morning and in the mid-afternoon. Amazing stuff that would keep you healthy and makes you look good...does what it promises. Thanks Healthviva for having this tasty product in your portfolio. 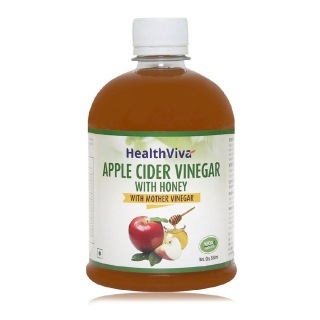 I have used different brands of ACV including the internationally renowned Bragg, Vitamin Shoppe,but this apple cider vinegar has been found the best.It is loaded with health benefits of improving digestion & losing weight.Futher,it costs less than its peer brands.I recommend it to all the health conscious persons. This is one of the good products I have used so far. Great combination of apple-cider vinegar with goodness of honey. Good product for weight loss without any side effects...Taste great too.. Awesome taste with Honey.. Now my whole family enjoying apple cider with honey. Service is top notch.Ordered on 16 th Nov,2016 and received on 18 th Nov,2016.I post another review about the product after one month after using it.Thanks,Healthkart. its gyd product for weight loss nd a grt antioxidant!